Throwback Thursday - Chip n' Dale: Rescue Rangers for NES — GamingWithSwag.com - Dads By Day, Gamers By Night. Fat Cat, don't you know that smoking is bad for you? What could have been a cheap licensed tie in to a popular at the time cartoon became one of the better platforming games that the Nintendo Entertainment System ever featured. The game was released in 1990 here in the US and this title built on the momentum of 1989’s also Capcom produced Disney title Duck Tales which is legendary in its own right. 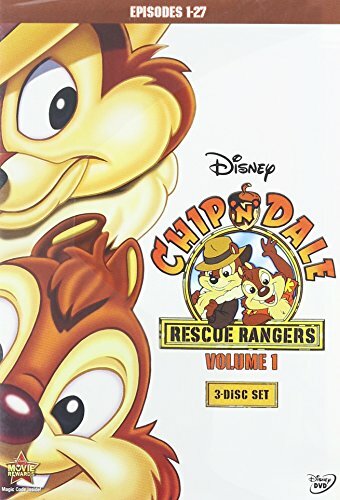 Chip n' Dale: Rescue Rangers was one of the better 2 player cooperative games available and if you wanted your kids to avoid guns and more overt violence (so no Contra, Double Dragon, and River City Ransom) this title was even more unique. Two-player cooperative games are some of my favorites. The game follows the titular Chip and Dale on a mission to rescue Gadget from the clutches of Fat Cat who kidnapped her. Monterey Jack and Zipper make a few appearances but sadly are not playable, and Gadget despite being kidnapped is your guide through the game. The Chipmunks primarily fight by picking up objects and throwing them, this is also how they solve most of the puzzles in the game by hitting levers, or tossing objects to traverse hazards in the level. Although the largest criticism I have heard of the game is that it is too easy, I disagree wholeheartedly. The game was quick, rewarding, and being beatable after a few play-throughs shouldn’t be necessarily a bad thing especially in a title that is aimed for kids. Is the alternative Battletoads? That game is still impossible and I am a Game Genie wielding adult. I played this title with a friend, I beat it and felt enormous satisfaction and then introduced it to someone else and beat it with them. The cartoon animation was very close to the show itself which I also enjoyed at the time, and I have to say that the soundtrack while a bit loud still sticks with me today over 25 years later. Wow, that sentence hurt. Anyway, we got a sequel to this game 3 years later which is very similar with the main addition being the ability to throw your partner which was useful and comical. I think the game holds up, and while NES nostalgia is running high with the classic system coming back in a limited run this holiday season, I recommend blowing the dust out of your old NES and giving this game a whirl. We gotta find that kitten! !